Artificial intelligence is already changing healthcare. Managing medical records, interpreting scan’s results or monitor the use of medications is just some of few examples of how artificial intelligence is used today. But new possibilities bring also new issues such as ethical, safety and liability, and transparency towards users. Is Europe ready to embrace the change of artificial intelligence in healthcare and how will it respond to the challenges ahead? 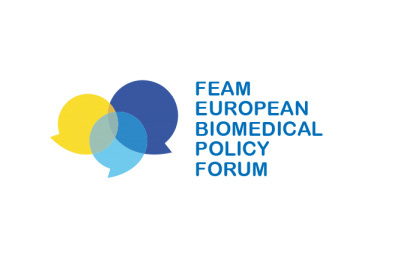 The FEAM European Biomedical Policy Forum is a partnership based Forum which provides a platform for discussion on key policy issues for the biomedical community. The Forum is an initiative from the Federation of European Academies of Medicine (FEAM). It aims to bring together representatives from academia, research charities, industry, European and national trade associations and professional bodies, regulators, public health bodies, and patient and consumers groups. Partners join on an equal footing, regardless of size and type of organisation.